This year has not been so great for Indian box office as there is only one blockbuster in 2014 which was Kick featuring Salman Khan.Now all eyes are on Happy New Year releasing this Diwali. 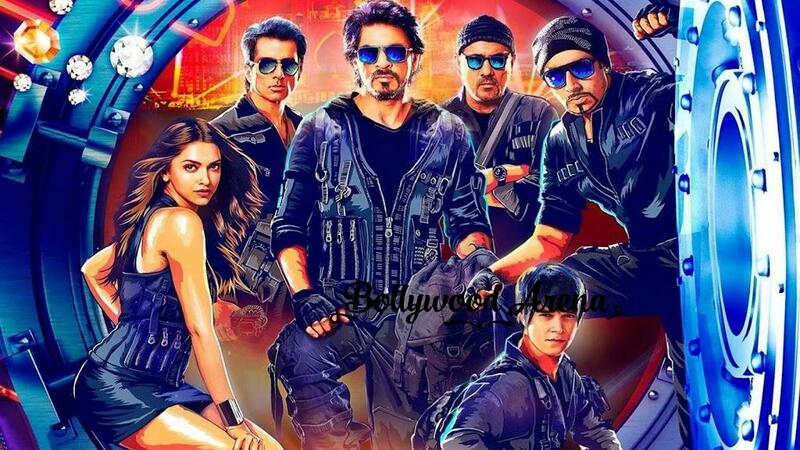 Happy New Year has a huge cast featuring Shah Rukh Khan,Deepika Padukone,Abhishek Bachchan,Boman Irani and Sonu Sood.It will also have cameos from SRK’s wife Gauri Kan and his son Abram Khan.It is directed by Farah Khan and produced by Shah Rukh Khan’s own production house Red Chillies. Lets analysis the impact it can make on the box office. Only name is enough.He is one of the biggest crowd puller in India and is undoubtedly the most popular actor.SRK is at the peak of his Career.His last film Chennai Express also roared at the box office and collected above 200 crores. The last time they came together it was way back in 2007 for Om Shanti Om.It was the biggest hit of that year.One can hope that they will recreate the OSO magic once again. SRK releases his films on diwali mostly as he considered it lucky for himself.It is the perfect date to collect maximum mollah on the box office as there are many holidays.Also he will have no completion for two weeks till the release of Shaukeen on 7th November. SRK is famous for promoting his films on the every floor he can.So he has done the same for Happy New Year. The box office is going through a rough phase.Last mega star movie was Bang Bang which also failed to create magic at box office.It will help the movie to put up great numbers. Happy New Year is a comedy movie and it will be more liked by the masses.So it might not be as attractive to the multiplexes audience. Happy New Year will get record breaking opening for sure and it will definitely cross 200 crores.But the real task will be to beat the life time collections of Dhoom3. It all depends on the word of mouth.If the content is liked by the audience and it sustains on second and third week,then it will have great chance to beat Dhoom3 and become the highest grossing film ever.